Accommodation, all main meals, entertainment and the use of the ships many facilities such as swimming pools, spas, gym, steam rooms etc. What do I wear on board? Depending on the class of your ship casual clothes are generally suitable during the day. Late afternoon, smart casual clothing is required in public areas, including the restaurants. Some nights on the ship are themed, so be sure to check out the cruise line website for typical theme nights. Generally one night will be forrmal night. What is the currency on board? What currency is used on board depends on the origin of the ship and the itinerary. Your consultant will be able to tell you at the time you make a booking. I get sea sick, is there anything that will help me with this? Larger cruise lines have stabilizers which help with the motion of a cruise ship in the ocean. It is also recommended that you take sea sickness tablets with you. If you still experience motion sickness, the on board doctor will be able to assist. Do I have to tip on board? Most cruise lines include gratuities in your cruise cost. However in the instance it is not included, it is customary to tip staff at the end of your cruise, just to thank them for their excellent service on board. This is not compulsory, however it is a nice gesture towards the cruise staff. Do I need Travel Insurance for my Cruise trip? Definitely! You should not assume 'it won't happen to me' - accidents or illness can happen to anyone. We also recommend taking out your insurance at the point of booking your cruise, this will ensure cover from the point you pay a deposit to the point you arrive home. Are there Visas and vaccinations required for my cruise? We always recommend enquiring about Visa/Vaccination requirements for your destination of travel, upon booking your cruise. Alternatively you can view requirements online at www.passports.gov.au or if you are a New Zealand citizen refer to www.passports.govt.nz. I have to fly to a city to pick up my cruise, what time should I arrive prior to the cruise? We recommend ensuring your flight arrives no later than 4 hours before your cruise departure time, if not arrive the day prior. This will ensure ample time and that you do not miss your cruise! When flying home after your cruise, ensure your flight departs no earlier than 5 hours after your cruise arrives back in port. Also ensure you double check your arrival/departure times of your flights a day before you depart as airlines can change times or dates of the flights. I need medication on board, can I take this with me? Yes, all medical conditions and medication needs to be advised at the time of making your booking. It is also advised to take a few extra days supply, in case of any unforseen delays. There is also a doctor on board if any medical attention is needed. Provided we have received all of your personal details and you have completed your online cruise registration, along with paid your booking in full, then your cruise tickets and information should arrive within 3 weeks prior to your sail date. Some cruise lines will only issue boarding passes, however each cruise line is different. This is a question to ask at the time your final balance is paid. How do I find out about shore tours available in each port? Most cruise lines require you to have registered yourself on their website prior to being able to view available shore tours. Most shore tour information can be found online at the cruise website, some cruise lines even let you pre book these tours. This is not a bad idea and saves you time, whilst ensuring you do not miss out! How do I earn Velocity Points with Cruisepilot? Velocity Points are earned at a rate of 3 Points per $1 spent on cruise fare only. 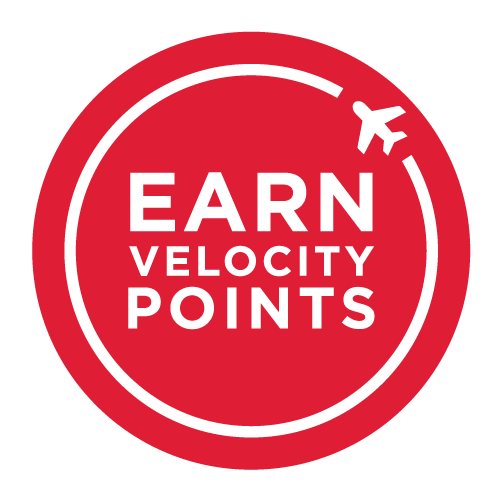 50% bonus Velocity Points for Silver members, 75% bonus Velocity Points for Gold members and 100% bonus Velocity Points for Platinum members applies to the standard Points earn rate. Full Terms and Conditions. How can I use my Velocity Points to pay for my cruise? Redeem your Velocity points for full or part payment for your cruise holiday. Simply call Cruisepilot (Australia: 1300 795 433, New Zealand: 0800 423 018, International: +61 07 5514 3388) to book your cruise prior to redeeming any cruise voucher. Vouchers will be valid for up to 12 months from the date of issue. Visit https://experience.velocityfrequentflyer.com/partners-offers/holidays-travel/cruisepilot for more information.